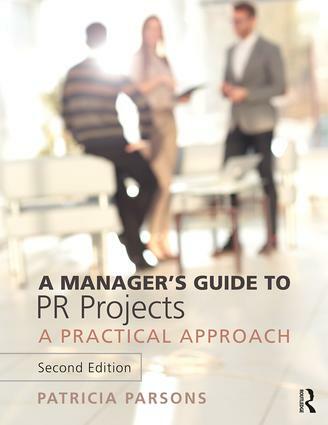 A Manager's Guide to PR Projects, Second Edition picks up where classic public relations textbooks leave off. It provides hands-on guidance in planning the preliminary research for a public relations project and creating a plan to achieve specific goals, guiding the reader through managing the project's implementation. It contains worksheets that can be used for a visual representation of the planning process for both student edification and presentation to clients. The book is designed as a user-friendly guide to take the reader through the four-step public relations planning process from a number of vantage points. Intended as a learning tool for use in both the class and beyond, this book's approaches are based on real experiences in the management of communications projects designed to meet organizational goals through achieving public relations objectives. The impact of social media on each phase of the planning process. Digital approaches to strategic and summative research, message dissemination and public engagement. Ethics considerations in the planning process. Updated print and web-based resources for PR managers. Patricia J. Parsons spent 26 years as a Professor of Public Relations in the Department of Communication Studies at Mount Saint Vincent University in Halifax, Canada after a career in health communication and writing. She is the author of a dozen books including Ethics in Public Relations: A Guide to Best Practice and Beyond Persuasion: Communication Strategies for Healthcare Managers in the Digital Age.